Buying used computers is a great way to get an excellent system at an affordable price. New computers lose almost half their value the moment you open the box. 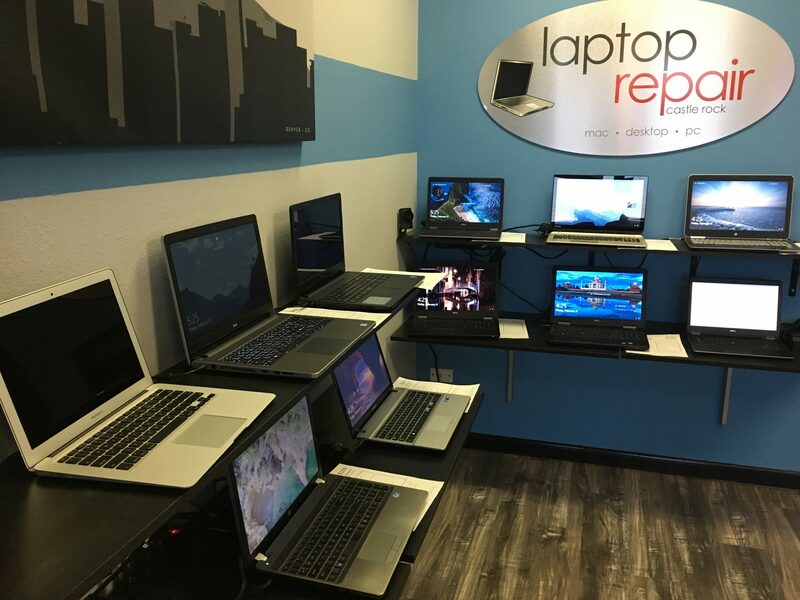 Laptop Repair Castle Rock rigorously tests and benchmarks all computers prior to listing for sale. Laptops or desktops with defects are either not sold or the defect is clearly listed and the computer priced at a substantial discount. All used computers at Laptop Repair Castle Rock come with a ninety-day warranty and our preferred business class models can be upgraded to one, two, or even three-year warranty. Most of the laptops for sale have been upgraded to Solid State Drives for increased performance and reliability. We have found that for the typical user a three-year-old computer with a solid-state drive always outperforms a brand new machine with a standard hard drive. Where do our used computers come from? Some of our used computers are systems are computers that customers opted not to fix while others were abandoned or traded in for credit. The majority of our computers are business class laptops purchased at auction when corporations retire and replace their current systems. These are systems that are very well built and have many years of use left. Laptop Repair Castle Rock refurbishes these systems to be highly cost-effective computers.